Mistro Srl produces professional and household slicers since 1965; located in Gallarate, in the province of Varese, it is the ideal place to find the necessary professional equipment for kitchens, hotels, restaurants, communities, bars, catering services, delicatessen, butchers and for all the activities where a good machine facilitates the work by reducing the preparation time of meat and cold cuts, also ensuring that the latter retain their natural fragrance, freshness and genuineness. Our experience is the added value that we offer even in advising and post-sell assistance. Mistro offers a reasoned line for all needs proposing effective and durable solutions, corroborated by an essential bond between technology, design, reliability and functionality. 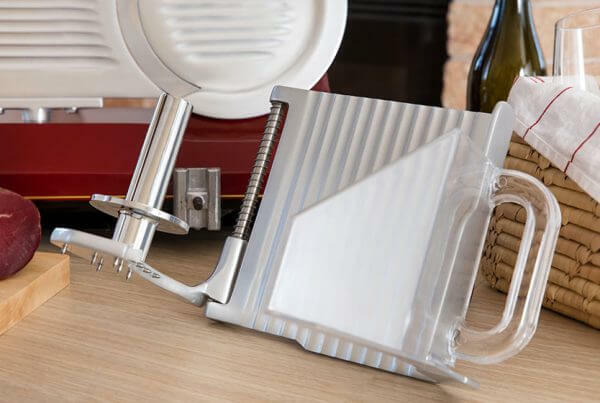 The household version is ideal for cutting roasts, bread and vegetables or to present at table the classic cutting board of cold cuts sliced to the letter. 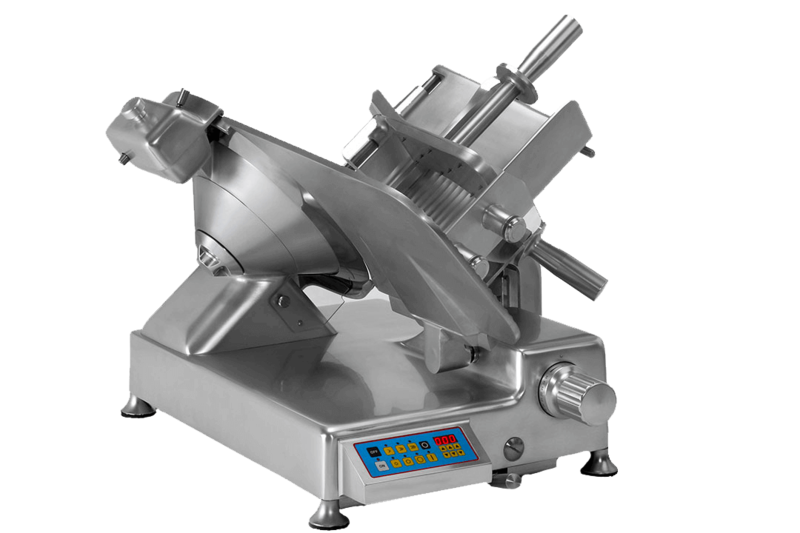 Although the slicer has limited overall dimensions, it is professional, robust and structurally built to comply with CE regulation no.1935/2004 relating to the regulation of materials and objects intended to come into contact with food. 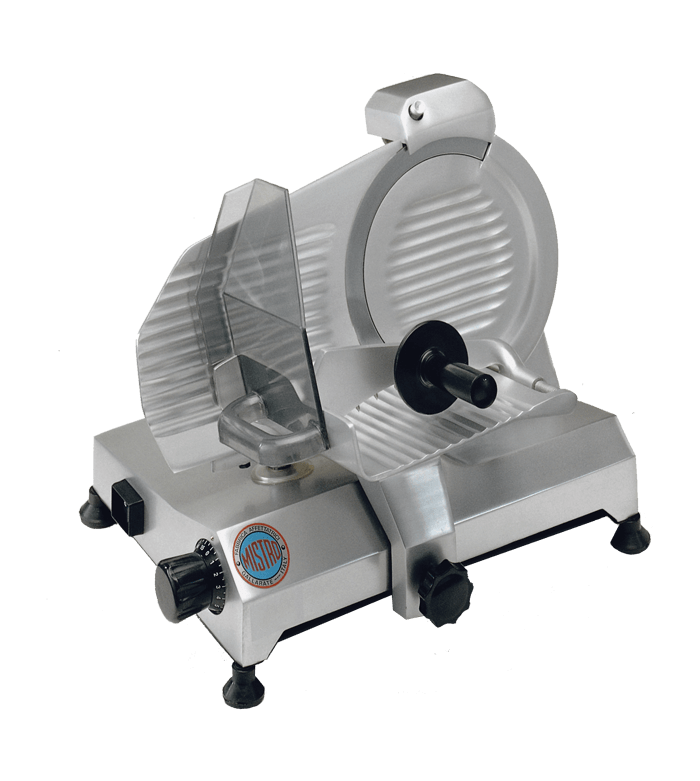 Designed and built to meet the CE, UL, NSF regulations regarding safety and sanitary hygiene, Mistro professional slicers are quality machines suitable for professional use, able to maintain their brilliance unchanged over time. 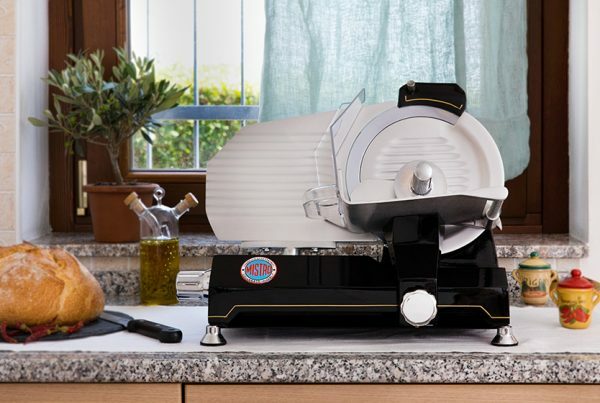 Sturdy, safe, with a pleasing aesthetic line, MISTRO slicers are cutting-edge high-performance work tools. Solid structurally, practical, easy to clean, without periodic maintenance. Available in a wide variety of models, on all slicers it is possible to apply optionals and adapt them to any world market requirement. All our slicers can be painted. 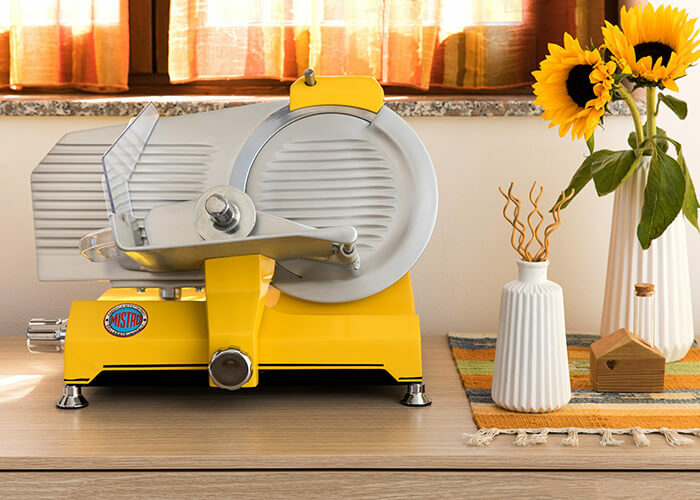 Customize your slicer with modern or vintage colors and decorate your spaces with effectiveness and style.